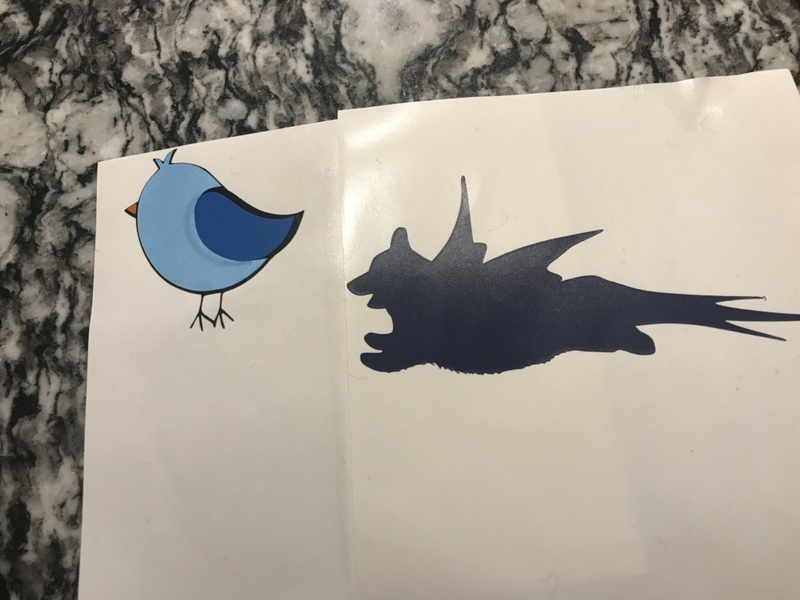 My Griffin sticker is a corgi-bird hybrid, created by cutting apart a bird silhouette (removing most of the bird, and then breaking the wings and tail apart) and unioning them with the corgi silhouette. 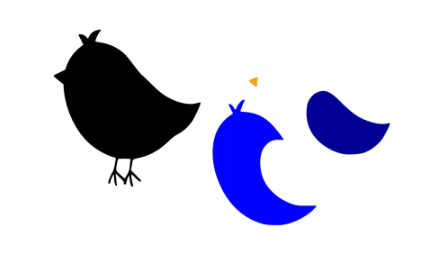 For the “Twitter” logo, I found a black-and-white outlined picture of a bird, and used two copies of it to make the separate pieces – one became the full black background that the rest of the pieces would go on, and the other turned into the separate pieces that would be layered on top (main body/head, wing, beak). 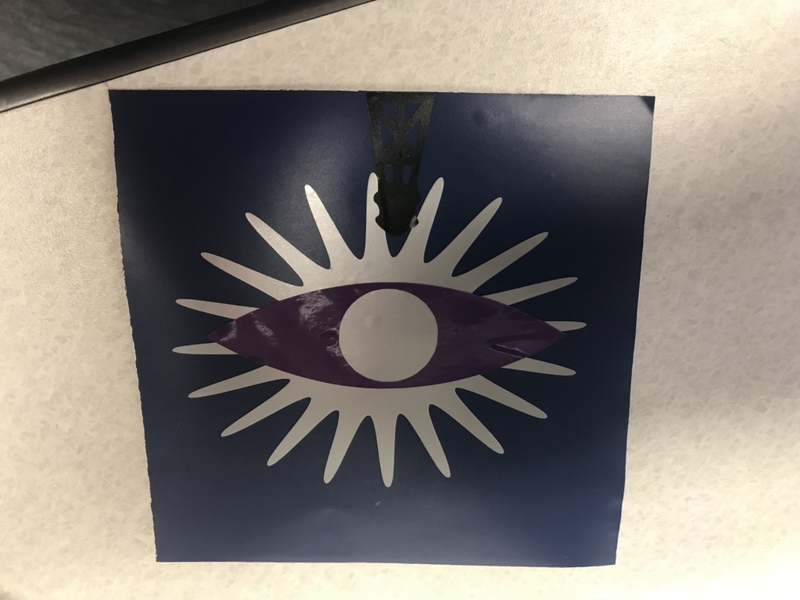 I don’t have any in-progress shots of the “Twitter” sticker, but the layering was wing, body, beak. 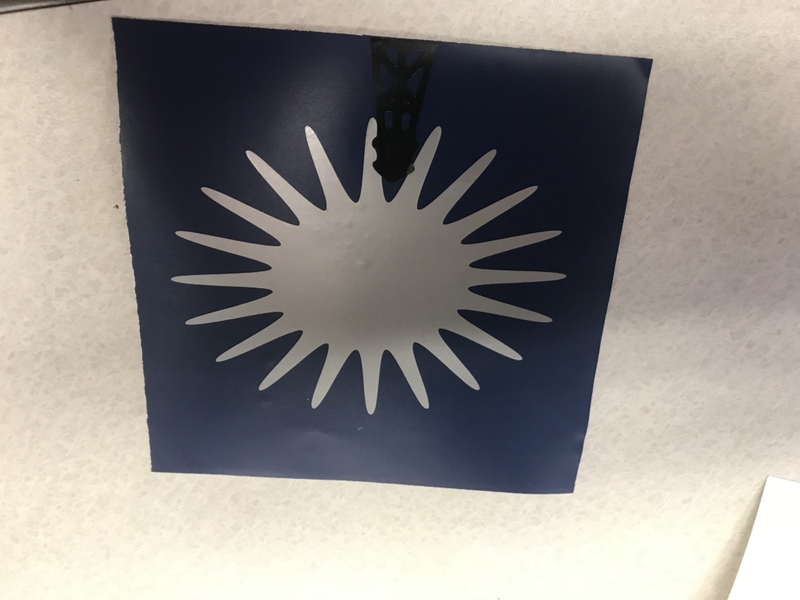 In retrospect I slightly missed the wing sticker’s placement. 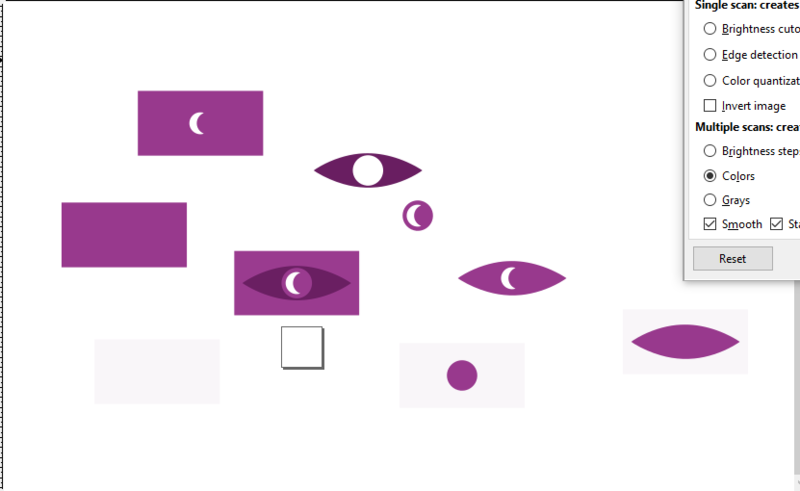 Dissecting the eye image to get the pieces I wanted. 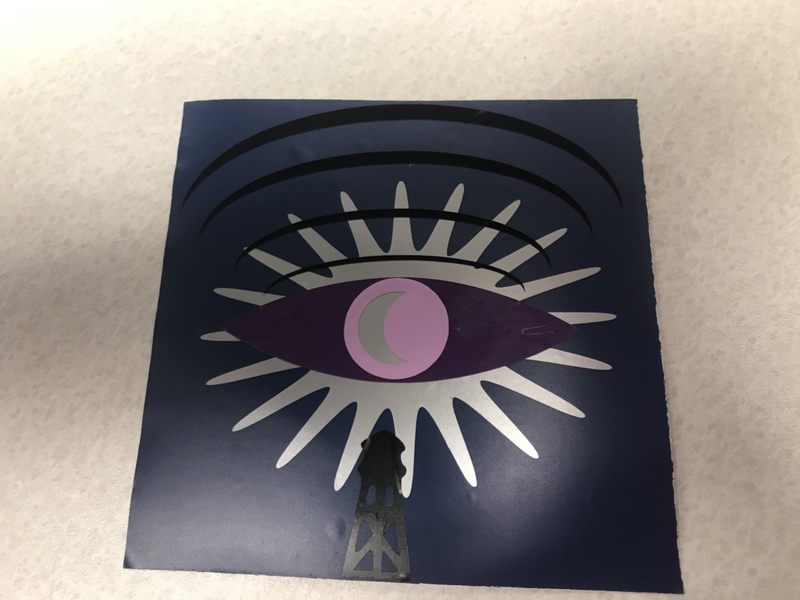 For the background, I decided I’d use another vinyl layer instead of cutting something else out. 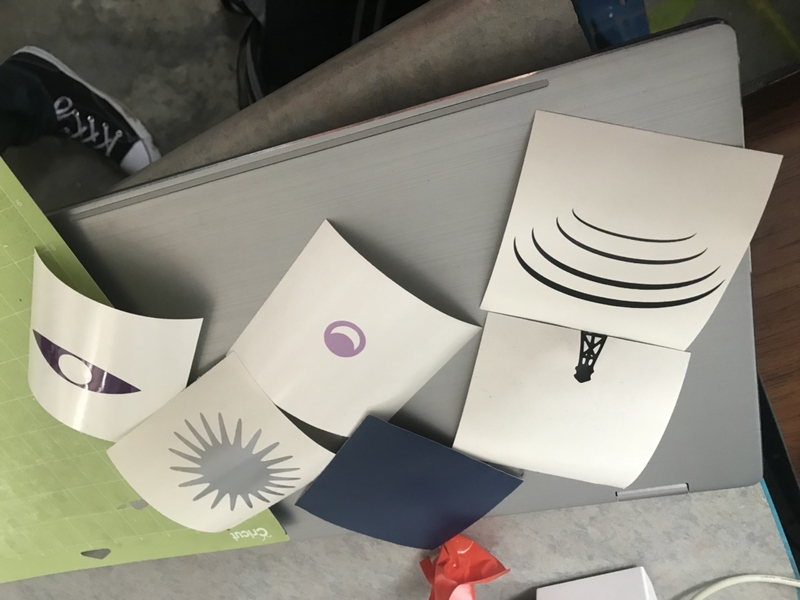 Taking the tower from the second image – involved breaking apart the image by color, ungrouping the tower, and then separating it from the other, independent black pieces. 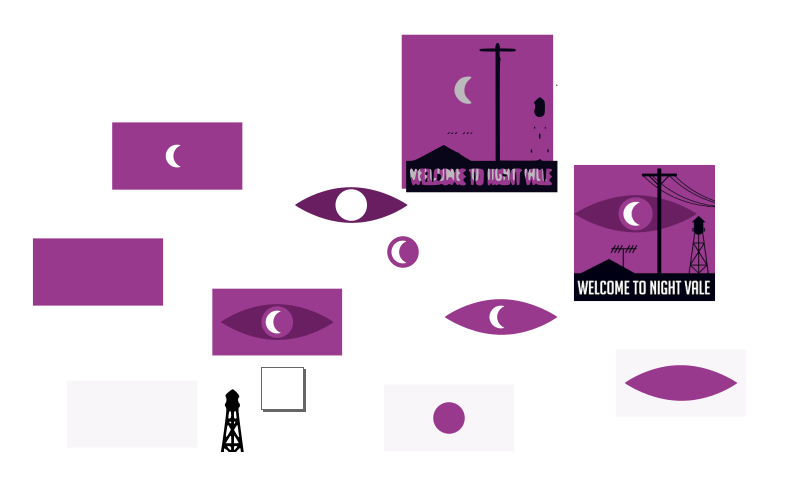 I removed the ground by placing a white rectangle over the black background and using the difference tool. 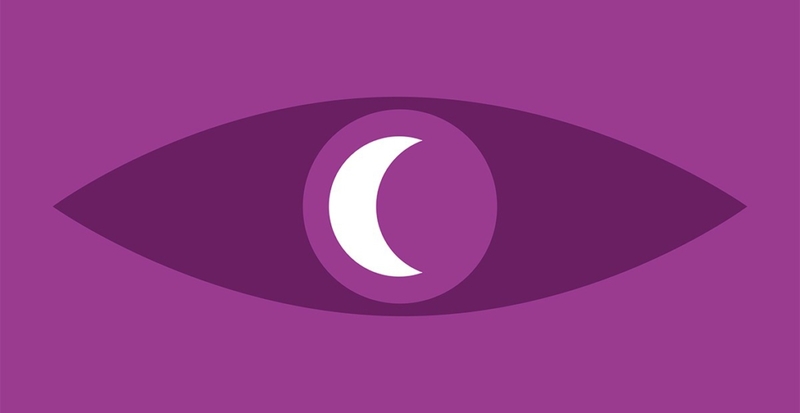 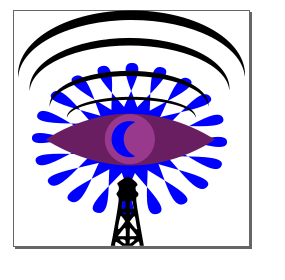 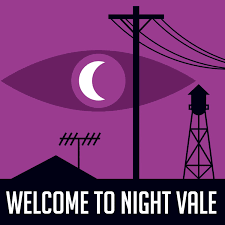 I wanted to have some “radio waves” coming from the eye, because Nightvale is a fake radio station, and they also fit well with the eye motif. 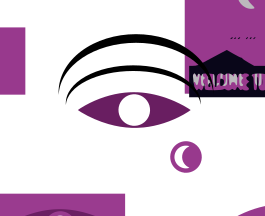 The waves are simply the difference between two ellipses, one slightly down-shifted from the other. 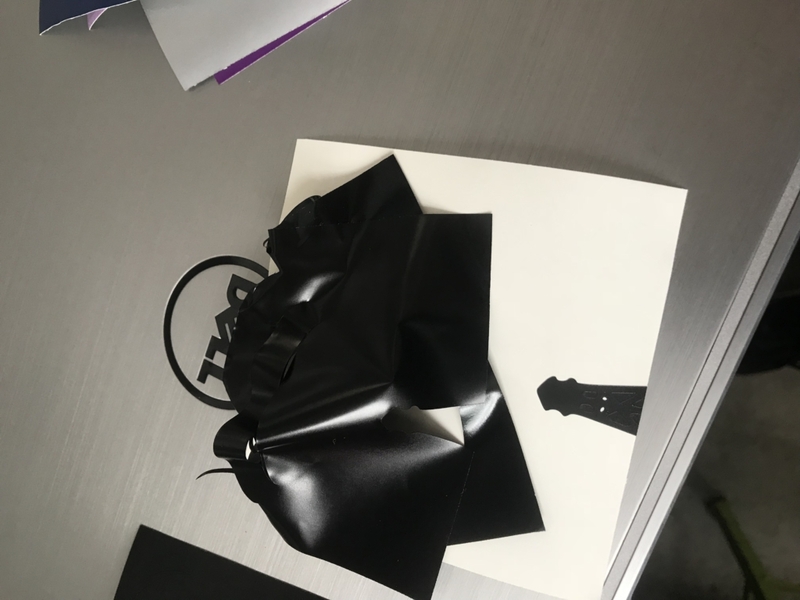 There were some printing mishaps – after sacrificing a few vinyl sheets, I decided to do the two black pieces (tower and waves) separately because I wasn’t quite able to get them on the same sheet – the alignment of the printing sheet was not quite what it said it was. 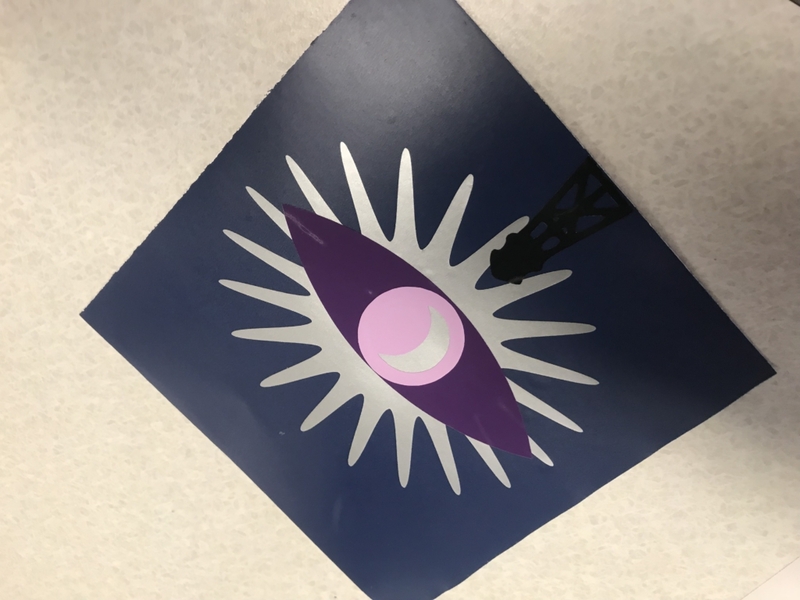 The toughest part about this assignment was getting the black pieces of the sticker to peel out and stick properly – I need to pluck out pluck out pieces from the tower sticker, and delicately pull the waves from the rest of their vinyl.